Get a sneak peek for free! Tired of endless text? Value Proposition Design simplifies complex ideas into quickly readable illustrations with only the most practical, important details. The result? You'll learn more, in less time, and have fun along the way. This exclusive online companion is no afterthought. It’s been designed from the ground up to help you apply what you learn in the book. 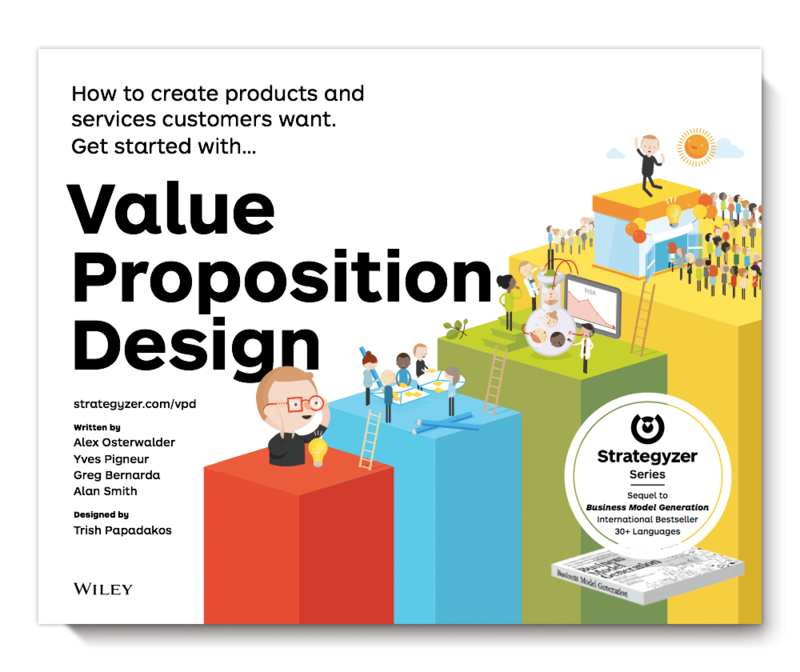 Inside, you’ll find exercises guiding you step by step through the messy process of designing and testing a great value proposition. You'll also get dozens of downloadable tools, templates, and posters all designed to amplify the power of the book. The first new book in 4 years since global phenomenon Business Model Generation, you don't want to miss the beginning of this next wave. We think that Value Proposition Design is going to change the way we think about business — bold statement we know, but so is the book.